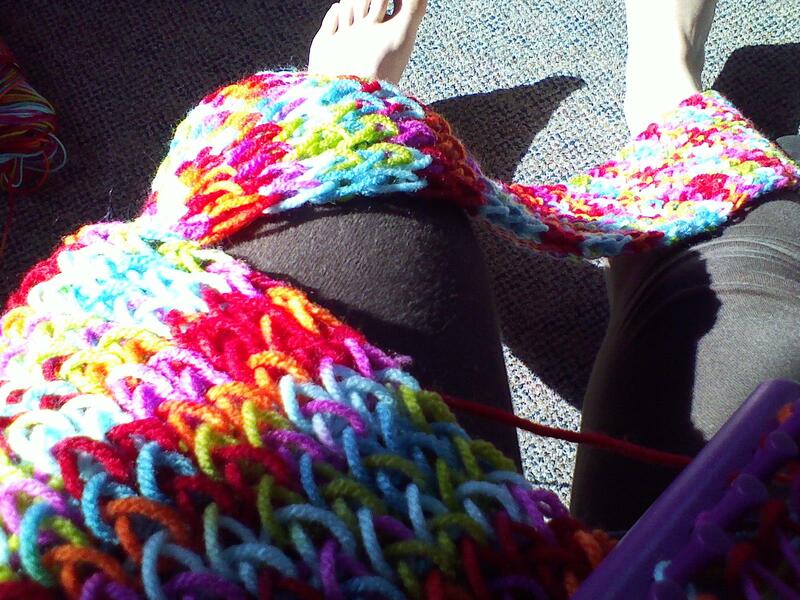 Well, I taught myself how to make a rainbow scarf on a rectangle-shaped loom. It's fine, but so far not as satisfying as making a stocking cap. It's for a good reason! We're working on scarves to send to UCC General Synod in Long Beach, CA this summer. 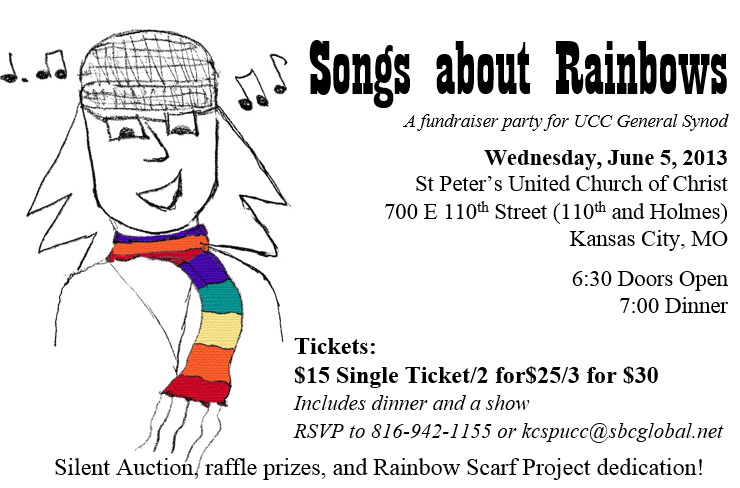 The scarves will be distributed to attendees who pledge to advocate, educate, and support anti-bullying efforts, particularly of our friends and family in the LGBTQ community/schools. If you are near the Kansas City area, you can join us for the dedication party. I'm also fundraising to help cover expenses for my trip.